The typical reasons most patients decide to visit the dentist are: pain, tooth decay, damage, or tooth loss. With, regular checkups, we can find and correct these problems early. However, if you have problems that need immediate attention, Dr. Lalonde can repair the damage and rejuvenate your smile, even if significant damage has already occurred. We use fillings and crowns to repair tooth decay, cracks, and damage. Tooth colored restorations can keep your smile naturally beautiful and restore strength and function. If you are missing teeth, dentures and dental implants offer natural looking prosthetic replacements. You don’t have to live with unsightly dental problems. Dr. Lalonde can correct the issues so that you once again have a healthy, beautiful smile. If you would like old metal fillings or missing teeth replaced, or if you want oral pain alleviated, call Dr. Lalonde to schedule a restorative dentistry consultation. 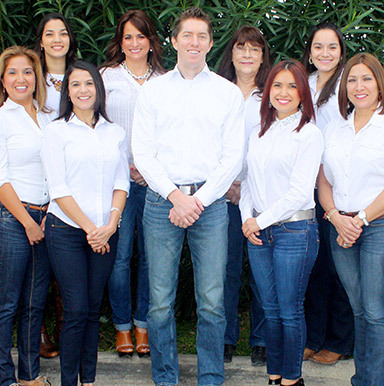 Our Los Fresnos practice also serves residents of Brownsville, South Padre Island, Port Isabel, San Benito and Bayview, so call today for an appointment.